We’ve all been there. The total and utter feeling of failure. Failure as a wife, failure as a homemaker, failure as a mom, failure as an employee. As women, we put so much pressure on ourselves to take on a million and 1 tasks and do them flawlessly. But what happens when this perfect world comes crumbling down? As a brand new wife, I had high expectations of myself. I was so ready to jump into that role as a homemaker. But you see, I had very little training in how to run and manage a home. I started out married life so excited to home cook all of our meals, make beautiful home decorations, keep detailed scrapbooks of our life, and keep a clean and orderly home. Oh, and did I mention? I was working almost full time and was a full time student in college? Ouch. Of course, my expectations that I put upon myself failed time and again. As I’ve lived, learned, and put in the elbow grease I’ve become a more efficient homemaker. But then we also welcomed these twin tornadoes of destruction into our home that I call my sons. I know there are those days when you feel like your house is just a little out of control. And then there are those days when you feel like a total and utter failure. I’ve totally been there. The sink is overflowing with dishes. You have no idea what to make for dinner as your fridge is nearly empty and you are long over do for a grocery shop. The hubby can’t find clean clothing because it hasn’t been done in a week (okay two weeks). Oh, and tomorrow is Sunday, you have no idea where everyone’s Bible’s are, you can’t find two shoes that make a pair, and no one has Church clothing ready because you haven’t done clothing in ages. I feel like that is just the tip of the iceberg for me some days. 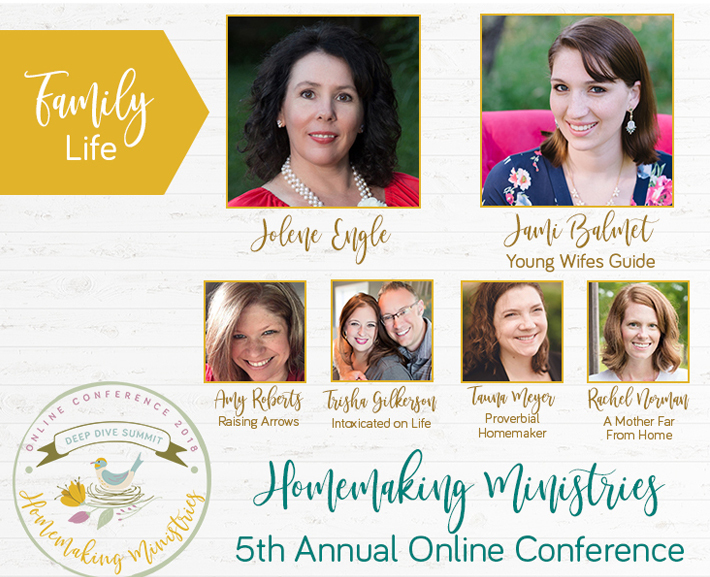 I’m sure each of us, as homemakers, have different areas in which we struggle. For example, I’m really really terrible with housework. I just can’t seem to stay on top of it. Maybe you are struggling with cooking. Maybe you can’t seem to get meal planning down to save your life. Maybe for you, laundry is the bane of your existence. Or maybe, everything about running and managing a home has you feel like a failure day in and day out? Maybe you feel like you were not built for this. Maybe you are bitter and sad that you didn’t learn these essential homemaking skills earlier in life. Maybe, just maybe, you wish you had an escape sometimes from life at home? “Getting stuck, stagnant, or overwhelmed, by missing the mark doesn’t mean we are lost causes. We can still live on purpose even when we mess up, stumble, or fall flat on our faces. Failure doesn’t define you – unless you let it. You can choose to wallow in despair over the fact that you failed at something, or you can choose to get up, dust yourself off, and move forward. It may not be easy to do, especially if your heart is bruised by disappointment, but it’s the surest way to continue your journey to live on purpose.” – Crystal Paine, page 162. So many times, as I walk this familiar path of failure, I can feel discouraged, sad, pathetic, and even angry. I’d like to think that the failure is never my fault. “I’m just too busy. I can’t possibly keep up on everything”. “Well so and so doesn’t have to do X,Y,&Z, like I do, so it makes sense why she can keep up on her home”. “Well it must be nice to be able to hire a babysitter while you go out grocery shopping. I can’t do that – so that’s why I’ve given up on really meal planning and cooking a lot”. Does this ever sound familiar? I have thought all of these before – and so many others. Pridefully, I want to be able to do it all. I want to be supermom who easily balances all that I need to do each day. And I want to do it in a beautiful dress and high heels to boot! But of course, this is not realistic or the right focus. I need Christ. I need to love my family and homemaking is important, but at the end of the day, I really just need Christ. That’s why I love this quote from Ann Voskamp. So while I feel that I must share first that without Christ, we don’t be able to accomplish anything worthwhile and being there for our kids, our husband, and being devoted to the Lord are so much more important than the laundry piling up…effectively managing our home is also a way that we can express love to our family, create an atmosphere that is accessible for worshiping our Lord, and creates a hospitable environment for lovingly reaching those outside our home with the Gospel. I’ve learned to (sometimes) appreciate the feelings of failure in my life, because often, it’s a warning sign that I need to cute back on something or become more discipline. I’ve had weeks where I feel so completely overwhelmed from running to a different activity everyday that my house is in a state of utter destruction. I feel like a failure because I get home at 430 without any dinner planned and it looks like a bomb went off in my house. By the time my husband gets home, we manage to eat something, and we get the kids put down to bed, I fall exhausted onto the couch and don’t budge until hubby says it’s time to go to bed. Which of course, leads to this vicious cycle happening again tomorrow. This is where, slowly, I am learning how to say NO to things (even good things)! Often I have found that these feelings of failure come when I am simply taking on too much. One of the most powerful lessons I’ve learned from reading through Say Goodbye to Survival Mode is that it is essential for my life to learn how to say NO to things so that my schedule can remain under control and then having the confidence to know what the right things are to say yes and no too! You can read that part of this study here: Taking on too much – Learning how to say NO in your Homemaking! Along with learning how to cut out things from my life so that I’m not too busy, failure has taught me, that sometimes, I just need to dig down and learn some discipline. When I first got married, managing a home did not come naturally or easily for me. In fact, it still doesn’t come very easily for me many days. I really struggle with keeping up on housework, bills, and healthy meal planning. I’ve had to wrestle with my own pride and admit, that often, these feelings of failure come because I have not intentionally disciplined myself in homemaking duties. It takes hard work, determination, and lots and lots of discipline to run a household. A clean house and a hot dinner doesn’t happen by accident. And when I’ve been confronted with these feelings of failure, I’m confronted with my own sin which is usually just laziness. It’s far easier to work on a DIY project than scrub the toilets on some days. Now of course, as homemakers, some days are just really hard!! There are some days when we are not lazy. Days when we’ve not committed to too much. There are days when being a homemaker, a wife, a mom…are just HARD! These days when your kids are sick and they just need mommy to snuggle with them. Days when the kids start screaming from a fight and while you deal with that, try to switch over the laundry, and nurse the baby….the dinner burns in the oven and you forget to water the garden, again. Take heart on those days. We can’t do it all and sometimes the house has to be a disaster so we can be there for our husband or kids. This is especially true if you have young kids. With twin-almost-two-year-old boys, my house is never really clean. It’s good enough most of the time but there are those days when it is just complete chaos!! Give yourself some grace Mamas: call your husband to pick up pizza for dinner, throw on your shoes and take the kids outside to play, and worry about the cleaning and the housework LATER! Love this. It’s so true!!! I just want to read over and over agin. Thank you and God bless you! First I would just like to say that I loved that book!!! Second I sooooo needed this post as a reminder this morning I feel like a failure when it comes to housework daily. There just doesn’t seem to be enough time in the day to get caught up. But then again I also homeschool, blog, and do not have a cleaning lady. I too strive to rock at homemaking today more than ever. Which is why I feel discouraged when I cant seem to do it all. I just constantly have to remind my self that its ok especially in this season of life for it not to be perfect. I struggle with waking up early but when I do wake up early that with my 30 min in the word my days are so much more smooth. I have more time for my kids because my work is all done before they wake. Thank you for this much needed reminder. I feel so overwhelmed so often! 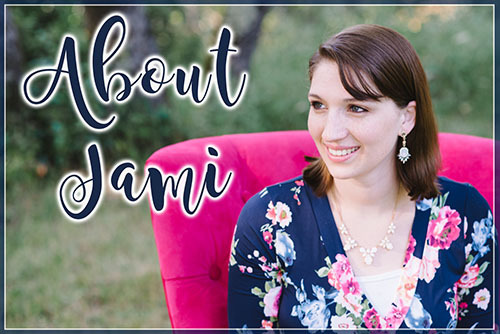 I’m not sure I’m a young wife anymore (lol), but I just started following your blog. You have some amazing tips and encouragement–thank you!! Recently, a blogger friend nominated me for the Mystery Blogger Award. The challenge is to nominate others, and I nominated you because I feel like you are talking to me!